Humanities theme group that explores usage of visual digital research tools to clarify patterns in the transformations of buildings, from early antiquity until the early modern era. 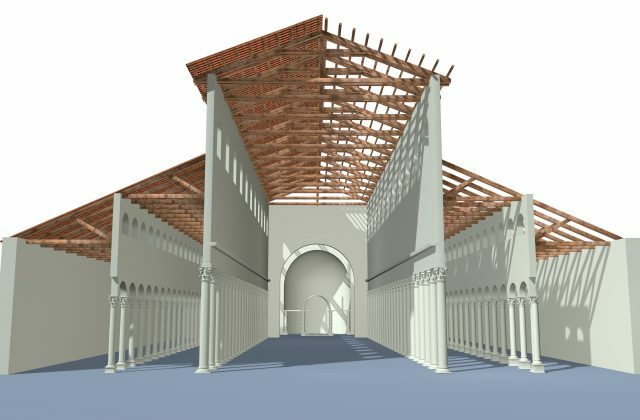 We will explore the usage of visual digital research tools to clarify patterns in the transformations of buildings, from early antiquity until the early modern era. The focus will be on monuments in Rome and its satellite cities, such as Cumae and Satricum. Mapping and modelling will be done in two and three dimensions, and across time, which produces our fourth dimension. In this research experiment we will transform traditional data (material from excavations, archival documents, drawings, prints) into advanced digital 3D models, an intermediate stage being the drawing in pen and ink. The exploration of the most modern digital media involves systematic interdisciplinary research, some of which is as old as the humanities: philology. And we will test earlier reconstructions of some iconic buildings and the ways they were produced and used by various social groups.